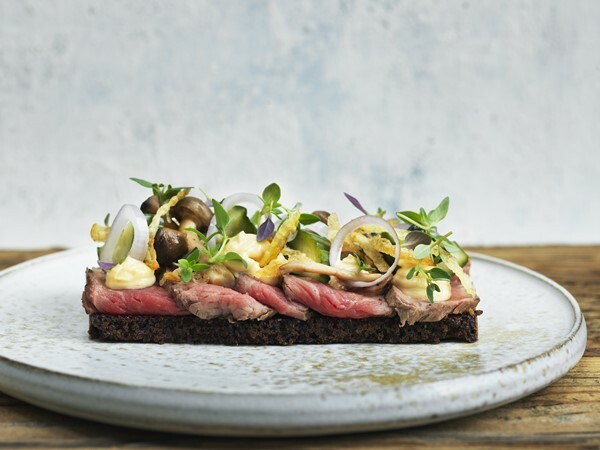 Adam Aamann is the Chef who set his focus on a different part of Nordic cooking, the classic and beloved Danish Smørrebrød. 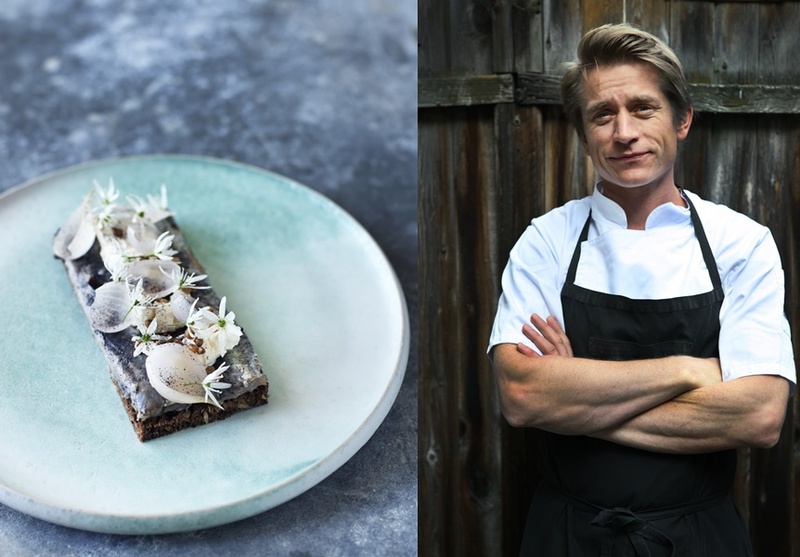 Meet Adam Aamann in our Chef Q&A where we talk about how he became a chef, reinventing the classics and of course smørrebrød. As a bonus, Adam Aamann shares one of his recipes with us. Keep reading. The King of Smørrebrød, that’s usually the name Adam Aamann goes under in Copenhagen. 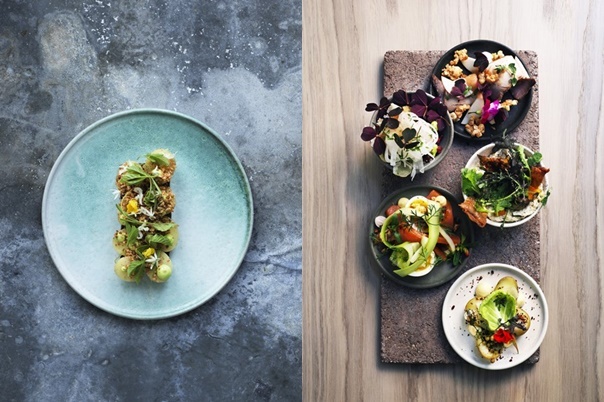 It all started in 2006 when Adam set out to recreate the Danish smørrebrød. 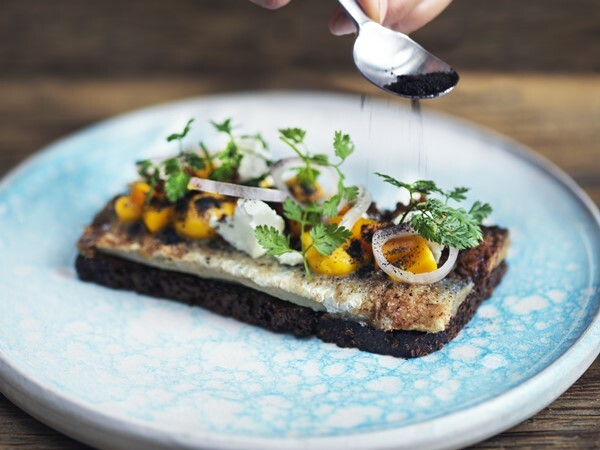 With focus on local ingredients, changing up the ratios on the smørrebrød, more seasonal and vegetable-driven smørrebrød he changed one of the fundamental parts of Danish cuisine, the smørrebrød. Since then his original restaurant Aamanns has kept thriving, he has become a Danish TV-favorite on the cooking show Madmagasinet, consulted for other restaurants, been awarded the Gastronomic Academy Honorary Award. On top of that, he opened up a few more restaurants. Now let’s talk to Adam. Let’s start with the basics, what made you want to become a chef? I always had an interest in food and I started cooking for myself from an early age. Mostly baking actually, making a lot of bread, cakes and so on. Through that, I got a really good experience for a ten-year-old. Baking was my key interest for a couple of years, and when I finished school I had no idea what to do. My mom pushed me into chefs school and from there I found everything very interesting. During the first year at chefs school, I also touched the areas of being a baker, a waiter, a butcher and a chef. You sniff all these areas. I found a lot of interesting things in being a butcher. I loved it. All things there were pure pleasure to me. The love for food and the creation in it. You built your career much upon the classic Danish smørrebrød. What made you go that way? My passion was Danish lunch. Everyone knows about the Nordic kitchen, but the Danish lunch is the big gastronomic treasure box of Danish gastronomy. I love the lunch, the patés… I set a goal to let the Danish lunch be the hero, and the best way was smørrebrød. I worked abroad for a while, then I came home and worked for Claus Meyer for a couple of years. But I always knew I was going to do my own thing, that I wanted success in this business. It was a key goal. And to start on your own, you have to go where your passion lies. And my passion was the Danish lunch. What did you do differently? It’s not like you couldn’t find smørrebrød in Copenhagen before. Simple, I was seasonal and all about the products. I did my own versions of the classics, adding textures and surprises. Smørrebrød is much about the bread so I set out to create the best rye bread. I tried a lot of recipes and tried loads of different types. It’s much about the bread, it’s the base. I had the same approach for the rest of my smørrebrød, get or create the best smoked fish, delicious creams, the best pickles, the best patés. I worked especially much with the patés. I wanted to create the most beautiful patés ever served in Denmark. Besides the quality, we use free range animals and lots of organic ingredients. Today we keep doing my own versions of the classics, keep playing with textures and make new creations and add more surprises. I believe we create future classics. What makes smørrebrød good? What elements of the dish need to work and how do you create new ones? Vegetables define which combinations end up on the menu. First, we have a seasonal list of vegetables that defines what we’re going to use. Then we look at the foundation of the menu and what to add. We have a checklist of textures that we work with. Reinventing classic food like everyone has an opinion on and wants “their way” can be risky. Do you think that limits how innovative you can be? But there is always a limit. For example, when I opened our new restaurant Aamanns 1921 I was afraid to be too innovative. You have to ask yourself who are you making food for. For your guests, for you…. and compromise. I have been to a lot of restaurants where chefs cook for chefs. I don’t like that. 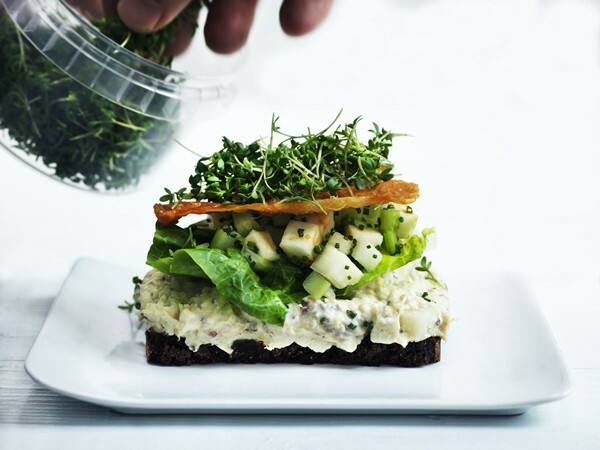 Have you made any new smørrebrød varieties that you loved but didn’t work in reality? Yes, of course. We had a really hard time doing the vegetarian pieces of smørrebrød because you don’t have the classic to base it on, and people don’t know what to expect. But we always have something prepared for vegetarians, in the restaurant guests can find at least 3 different kinds of smørrebrød. Do you have a personal favorite smørrebrød? One that you eat often and always come back to? Yes. As an example, our piece with chicken salad has pretty much had the same recipe for the last five years and I eat it with the greatest pleasure. And I really love the pork belly. We make one with spices, leave it for 4 days, then braise it with apple juice and serve it with two kinds of cabbage, and mustard cream. That’s a personal favorite for sure. You can’t talk smørrebrød without talking snaps and aquavit. Do you serve the classics or have you been innovating with those as well? We have around 25 varieties that change each week or months. We tried to make a snaps menu once, gave up on that idea. So now we ask for preferences; if the guest, for example, wants something fruity or herby, and then we work our way from there. Or if they want us to pair it with the food. With 25 types you can create many varieties of pairings. You’ve recently opened up Aamanns 1921 as an addition your other places. How is the new restaurant different? 1921 is a dream come true from when I was a young chef. It was a once in lifetime opportunity to get a place like this. In Copenhagen, it’s very hard to find a place this well-centered, with high ceilings and so forth. The whole guest experience is a 100% of what I dreamed of making. 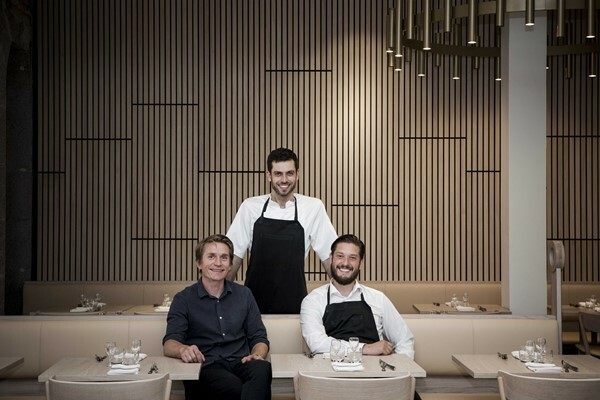 Is there a risk of spreading yourself too thin, of over-expanding and losing touch with the day-to-day business of just having one restaurant? No, not for me. I’m of the restless type which means I’m good at getting a lot done. And then I have a really great team. We spent a lot of time in recruiting the right persons to be leaders in the different units. And I’m still a lot of tastings the creation of menus. In general, I have so much energy, sometimes I get back into the kitchen and stick around for a couple of days, just to be even more restless because I think I can get more done, more quality. Besides the restaurants, you also made success as a chef on Danish television. That must be worlds apart compared to working as a regular chef. What made you want to do that? When I got the offer I had two restaurants, less than a quarter of the employees I have now, and I ended up working most of the time in the office, stressed, sweating and hating what I did. I missed being creative in the kitchen and TV gave me the financial freedom to hire a Managing Director which is the best thing I have done. Chipotle Mayo. The canned ones, add anything, blend it and it will taste wonderful. 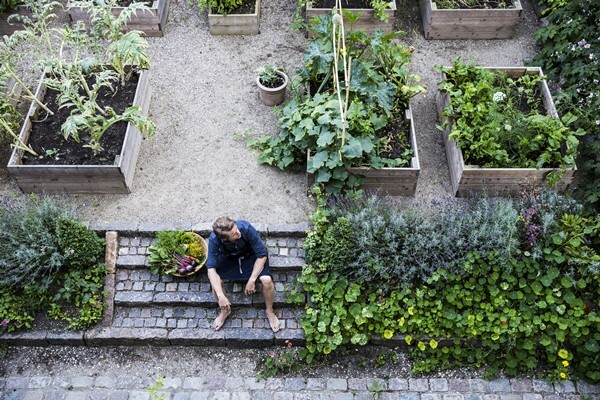 Do you have another passion besides food, that you do on a day off to do something else? Not really. I love doing food. Even in my spare time. And build things too… I have a lot of unfinished construction projects in my summer house. Italy, Southeast Asia, I love to go Thailand and have the green papaya salad with dried shrimps… And chilis. You are in pain when you eat it, but I love it. Thank you Adam Aamann for your time and keep reinventing the classics. If you ever find yourself in Copenhagen, which you should if you have any interest in food you need to get yourself a smørrebrød. I can’t think of a better way to enjoy a few of these classic open-faced sandwiches than at one of Adam’s places. You can pick between Aamanns Etablissement, Aamanns Deli & Take Away and at his latest addition Aamanns 1921. 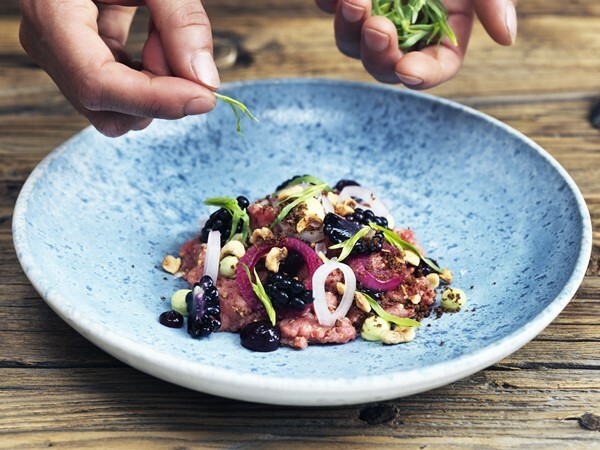 At Aamanns 1921 you’ll also have the chance to try many of the other Danish classics. All well worth a visit. For more info, menus and reservations for all locations visit Aaamanns online here. You can also check out Aamanns on Instagram and Facebook. If you can’t get to Copenhagen soon you can try this recipe that Adam decided to share with us. 1) Pickle: Shortly roast the spices on a dry pan until they start to smell nice. Put them in a spice grinder or mortar and crush them into powder. Mix all ingredients for the pickle (without the orange zest) in a pot and slowly boil it while stirring. Let it simmer for 5-10 minutes. Remove the pot from the heat and add the orange zest. Make sure to avoid the membrane. Then cool down the pickle. Put the herring fillets in a clean jar and add the pickle. Remember to fill the jar until the herring is covered by the pickle. Leave the jar in the fridge for minimum 3 days. 2) Pumpkin compote: Separate the seeds from the pumpkin and slice it into large pieces – keep on the zest since it is edible. Turn the pieces in oil, salt and pepper and bake them in the oven with lid or covered by tinfoil at 175 degrees for approx. 30 minutes until they are tender. Put the pumpkin in a bowl and mash them with a whisk into a thick mass. Shortly roast the coriander seeds in a dry pan, then crush them in a mortar and mix them into the pumpkin compote. Season with orange juice, salt and pepper. Put the compote into a piping bag. 3) Final arrangement: Peel the orange and slice it into fillets – make sure to get rid of all membrane. Whip the sour cream until it is stiff and season with salt – put it into a piping bag. Butter the rye bread. Slice the herring into suitable pieces and place them on the rye bread. Alternately, dot on the sour cream and the pumpkin compote. Sprinkle with the roasted pumpkin seeds and finish with chervil.